A future Billy Elliot could be waiting in the wings after he was given a place with the Royal Ballet. Tristan Hayden, 9, from Lincoln Close, Tilgate, was accepted on to the Royal Ballet School Junior Associate Programme in Covent Garden after a nail biting audition. He will now attend specialist training at the school every Saturday. The ballet course aims to train and educate classical ballet dancers so they are good enough to go on to dance with The Royal Ballet, Birmingham Royal Ballet and other top international dance companies. The talented youngster is a pupil of Roshe Performing Arts in Crawley and is no stranger to the stage. He appeared in last year’s pantomime Peter Pan at the Hawth Theatre and he will again grace the stage in this year’s show Aladdin. The pantomime is showing at the Hawth, and will star Les Dennis, along with 15 other children from the Roshe School. 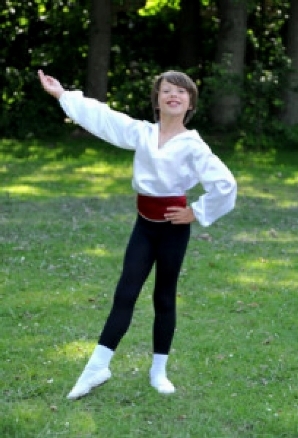 Tristan’s proud teachers say he is a natural dancer and is also talented in modern, jazz and tap. 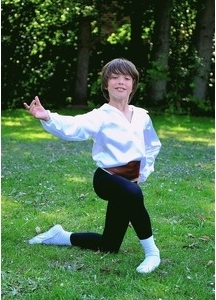 Principle Rosemary Wood said: “Whilst he has a natural talent and flare for dancing it is very important that Tristan and all the pupils have fun with their dance training. And there is much more to Tristan than ballet, he is also involved in musical theatre, Greek and Irish dancing classes and street style classes. Tristan will now attend classes on a Saturday at the Royal Ballet School, as well as continuing with his Performing Arts training at Roshe. Tristan will be following a tradition of Roshe pupils who have attended the Royal Ballet Associate programme. © 2012 Johnston Publishing Ltd.